Feb 1 (AZINS) A Ruckus ensued after RSS chief Mohan Bhagwat's speech at the 'Dharm Sansad' (religious council), called by Vishwa Hindu Parishad in Prayagraj, after protesters raised slogans demanding early construction of Ram temple in Ayodhya. The VHP meet, which coincides with the Kumbh Mela, is expected to put pressure on the government over the delay in the construction of a Ram temple in Ayodhya. 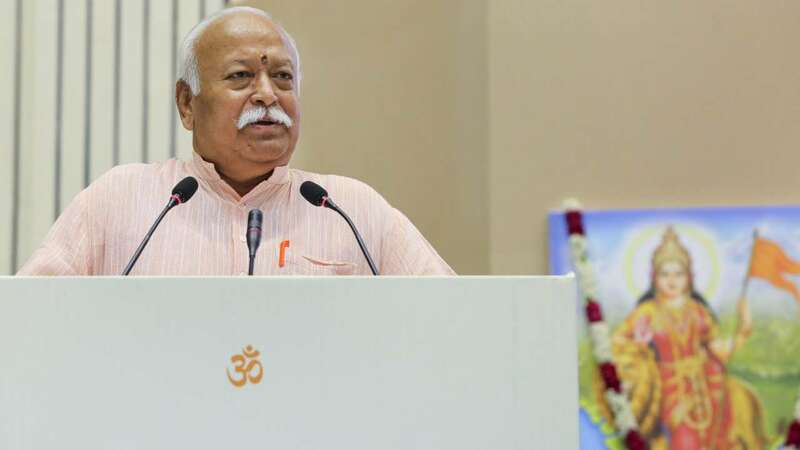 Bhagwat had also addressed the meet on Thursday when he alleged that the Sabarimala devotees were being oppressed by Kerala's leftist government that has exceeded the judicial mandate. Thursday's meeting was attended by over 200 seers including Jagadguru Ramanandacharya Narendracharya Ji Maharaj, Jagadguru Ramanujacharya Hansdevacharya Ji Maharaj, Nirmal Peethadhishwar Shrimahanth Gyandev, Swami Jitendranath, Satpal Maharaj, Swami Viyoganand Ji Maharaj and Swami Nrityagopaldas Ji Maharaj. The Dharma Sansad passed two resolutions – one on the “conspiracy” to “disintegrate” the Hindu society and the other one on the “struggle” to save the “tradition” and “belief” in Sabarimala. The Dharma Sansad asked the judiciary and the government to “keep distance” from the traditions and beliefs of the Hindus. Another meeting of seers, which ended Wednesday, had called for holding a ceremony on February 21 at the disputed Ram Janmabhoomi-Babri Masjid site to begin construction of a temple there. Swami Swaroopanand Saraswati had said there that the seers will head for Ayodhya after Basant Panchami, which falls on February 10, for the ceremony. An estimated 3,000 saints from various Hindu sects are participating in the two-day Dharma Sansad in Prayagraj, which is being held on the sidelines of Kumbh Mela. The meetings come days after the Centre filed a petition, seeking the Supreme Court's permission to transfer surplus land adjacent to the disputed Ayodhya site to its original owners.